As the weather begins to warm up, people begin to leave their homes and explore the world again. If you’re looking for a place to visit that offers fun for the entire family, consider a trip to Reid’s Orchard. 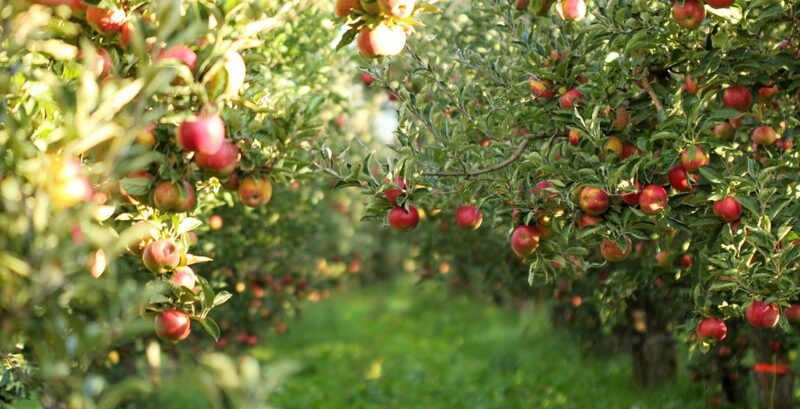 Whether you’re in the mood to eat fresh fruit, grab some flowers to plant in your garden, or attend a special event, you and your family will enjoy everything Reid’s Orchard has to offer. Located in Owensboro, KY, the Reid’s Orchard is the Disneyland of Kentucky. Fun for everyone, Reid’s Orchard is the ultimate adventure. At Reid’s Orchard, special events are constant. Numerous opportunities are provided for friends and family to enjoy. Beginning in the spring and running through the Apple Festival in October, Reid’s Orchard features plenty of events and activities that people of all ages will love. Upcoming events include the Fantasy Festival where families can enjoy professional children’s entertainment. Hero Saturday takes place on April 14 and Princess Sunday occurs April 15. Kids will love playing superhero and dressing up as princesses. Events such as these bring our community together to celebrate each other and have fun! While you’re enjoying picking out new flowers for your garden or tasting our wide variety of fresh fruit, the kids will enjoy the Reidland Play Area. Opening in May of each year, the Reidland Play Area features a kid-friendly area that adults will enjoy and kids will love. Offering available activities such as duck races, a corn maze, an Apple Express Train, and an apple slider, the Reidland Play Area entertains everyone. Children will be ecstatic when they experience the petting zoo and get to feed the animals. Has your child always wanted to ride a horse or pony? The Reidland Play Area has that option too. Once you arrive at Reid’s Orchard, you’ll instantly notice the Apple House. Flowers. Strawberries. Peaches. Vegetables. And of course, apples. Choose your fancy. The Apple House provides all of these and more. No matter the season, The Apple House is open for customers to enjoy sweet and juicy fruit, as well as fresh products. With famous apple cider and fresh veggies galore, the Apple House includes something for each and every taste bud. Planning a spring wedding? Do you have a family member that celebrated a birthday during the summer months? Reid’s Orchard has a history of providing an entertaining and beautiful venue, no matter the occasion. If you want to plan a school tour or corporate outing, Reid’s Orchard is a perfect choice. While you’re in Owensboro and once you’ve had a chance to taste the sweet fruit from Reid’s Orchard, swing by Don Moore Automotive to take advantage of various specials. Who knows, you may bring home a fresh basket of fruit and a new car!